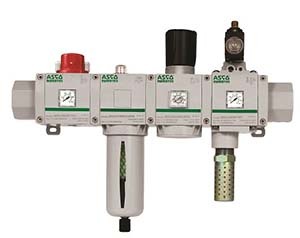 The ASCO Numatics 651 Series filter, regulator, and lubricator (FRL) line of air preparation products. This new FRL line broadens the company’s high flow-rate 650 Series family to include products with 1/8 -inch and 1/4-inch port sizes. 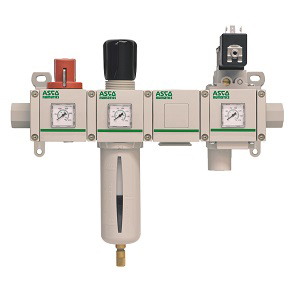 The 653 Series offers a complete range of modular, easy-to-assemble air preparation products. It includes the several filtration options (particulate, coalescing & adsorbing) with an extensive selection of bowl types and drains. Our regulators and filter-regulators provide customers with the highest in-class flows in the industry. 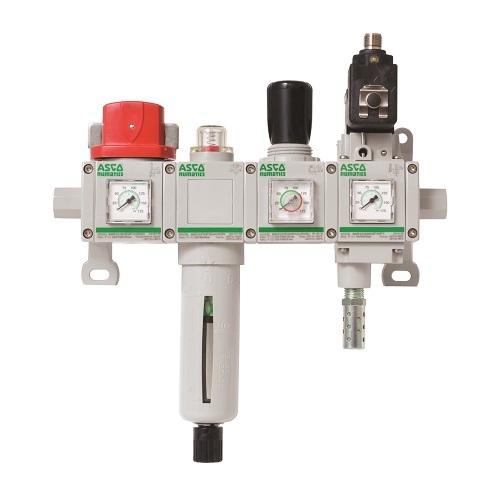 The ASCO Numatics 653 Series of air preparation products have a pressure range of 0-145 psi, are available in ½”, ¾” and 1” port sizes, offering a high flow rate for their size. This enables customers to power more products from the same FRL, or, alternatively, to reduce pressure drop across the system, both of which enable potential energy and cost savings.